Now that the cold weather has set in, this can mean only one thing...COLD SEASON! Yep, it seems like everywhere I go people are coughing and sneezing. 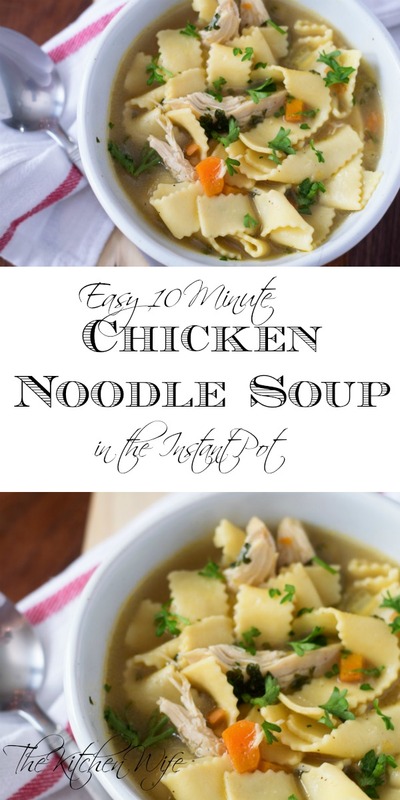 Its during this time of year I like to have a good chicken noodle soup recipe in my back pocket. You know what's even better? 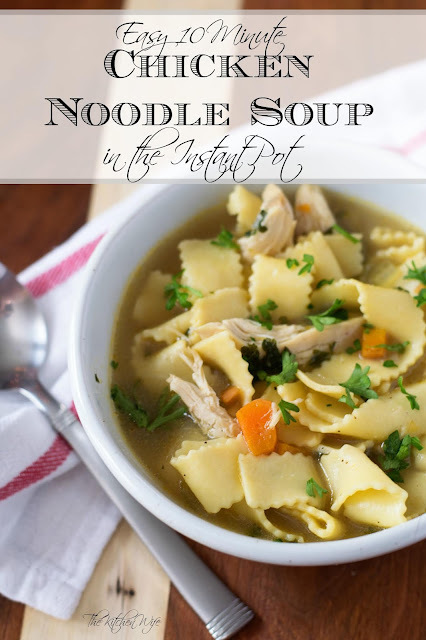 When it's my Easy 10 Minute Chicken Noodle Soup in the Instant Pot! To begin you will need to turn your instant pot to SAUTE. Once the instant pot is hot, add the carrots, onion, and celery. Sauté until tender and translucent. This will take 2-3 minutes. I will tell you that I have used frozen in this, I just bump up the cooking time to 15 minutes. Now add your salt, pepper, and garlic powder. Then add your chicken stock. Again, this is water because I used bullion. Place the lid on the instant pot and make sure the valve is set to SEALING. Next turn it from sauté to MANUAL and set the timer to 10 minutes. After the cook time has elapsed, you will turn the valve to do a quick release. When the pressure is finished releasing you can remove the lid and your soup will look a little something like this. Simply remove the chicken from the instant and shred. 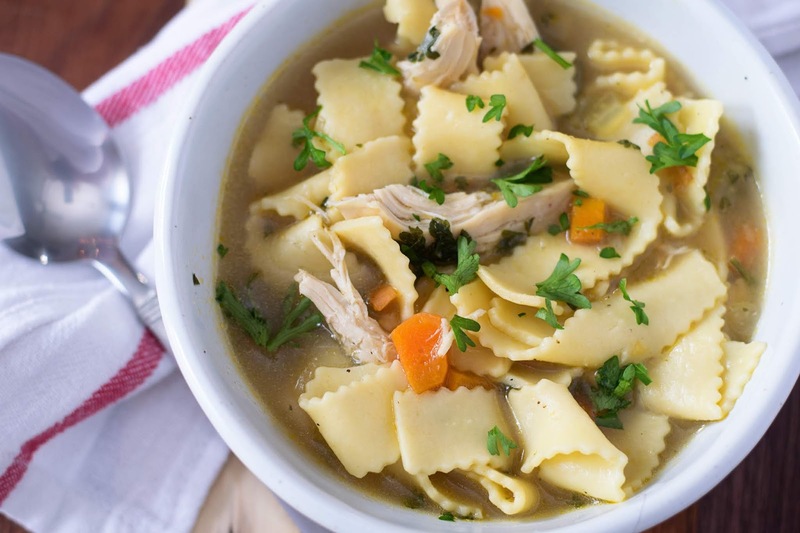 Return to the instant pot and you are ready to eat! You guys this Easy 10 Minute Chicken Noodle Soup in the Instant Pot Recipe is seriously the BEST chicken noodle soup I have ever tried and it is so quick and easy to make! I know you're gonna love it so get in the kitchen and give it a try TONIGHT! To begin you will set the instant pot to SAUTE and allow it to get hot. Once hot add the carrots, onions, and celery. Cook until tender and translucent. Add the salt, pepper, and garlic powder. Turn the instant pot to MANUAL and set the timer to 10 minutes. After the 10 minutes you will do a quick release. Return the chicken to the soup. *If you use frozen chicken you will need to bump the cook time up to 15 minutes.